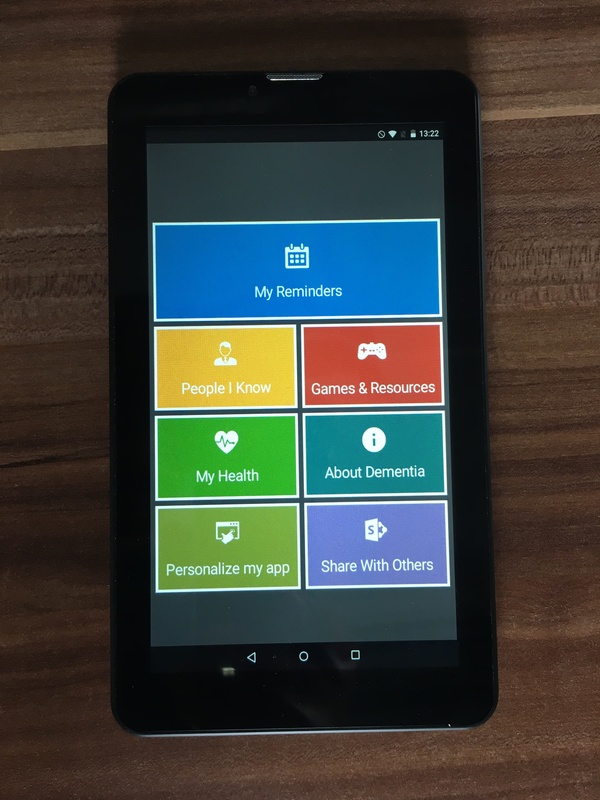 The application available on tablets covers 7 key functionalities: My reminders, People I know, Games & Resources, My Health, About dementia, Personalize my app, and Share with others. 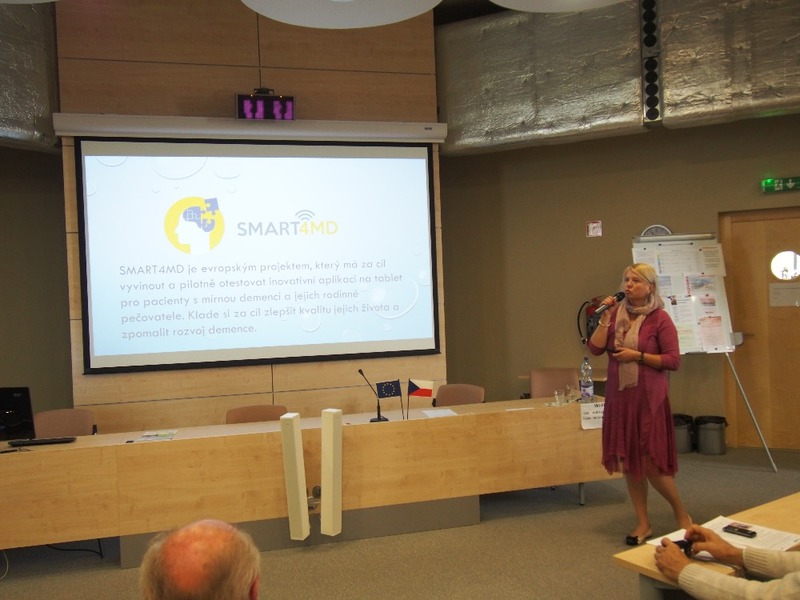 The design and development was based on focus groups and interviews with key target groups in 2016. 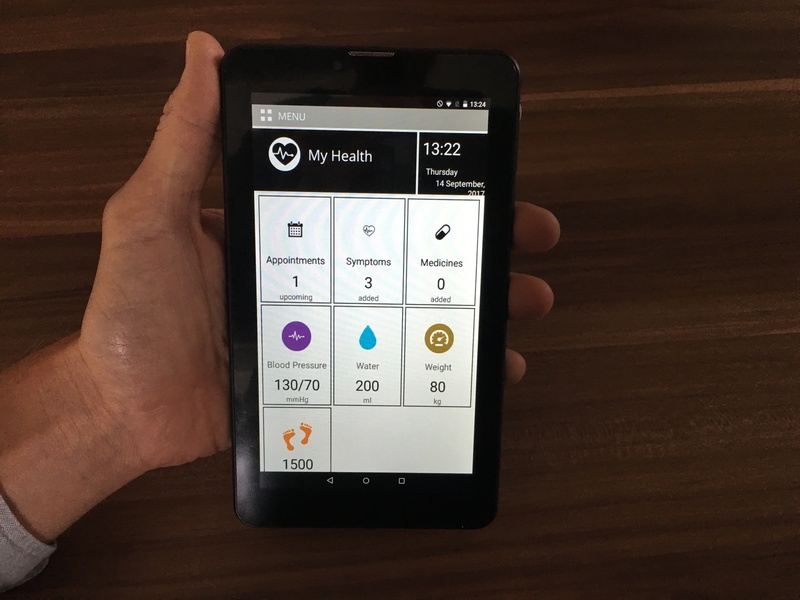 Training for key national clinical persons of the large scale clinical trial, that will aim to proof several hypotheses including improving quality of life, reduction of functional decline and medication/appointments improved adherence, took place in Malmo, Sweden, during September 4-6 2017. 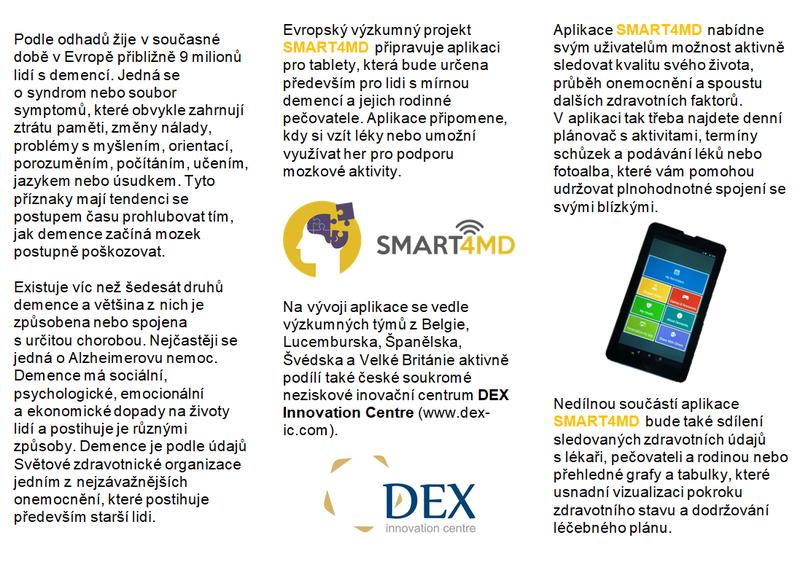 Currently, it is followed by national / international communication events and activities to support increased knowledge about the project and help with recruitment of patients to the large scale clinical trial. 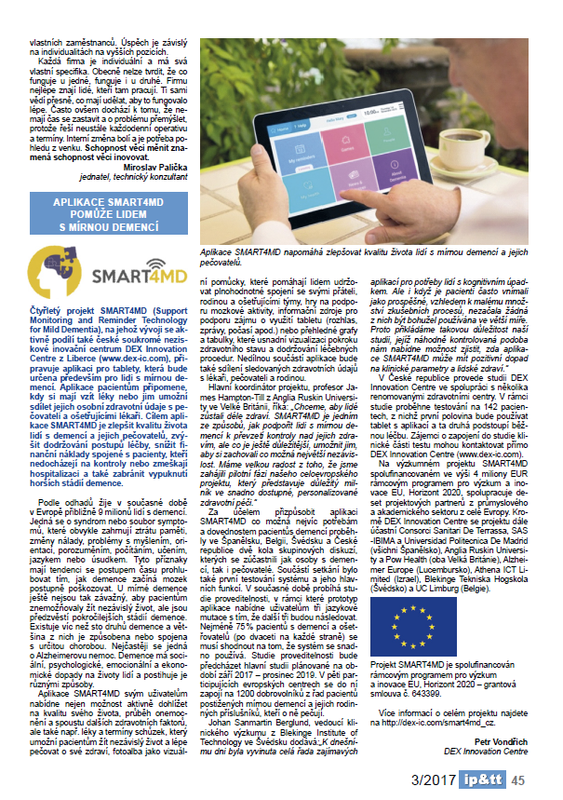 In the Czech Republic, SMART4MD project has been cited in newest Magazine „Innovative Entrepreneurship & Technology Transfer“ and recruitment to the clinical trial was also promoted via National Institute for Mental Health during International Alzheimer Day (21/9) event organized in their institute for approximately 70 participants. 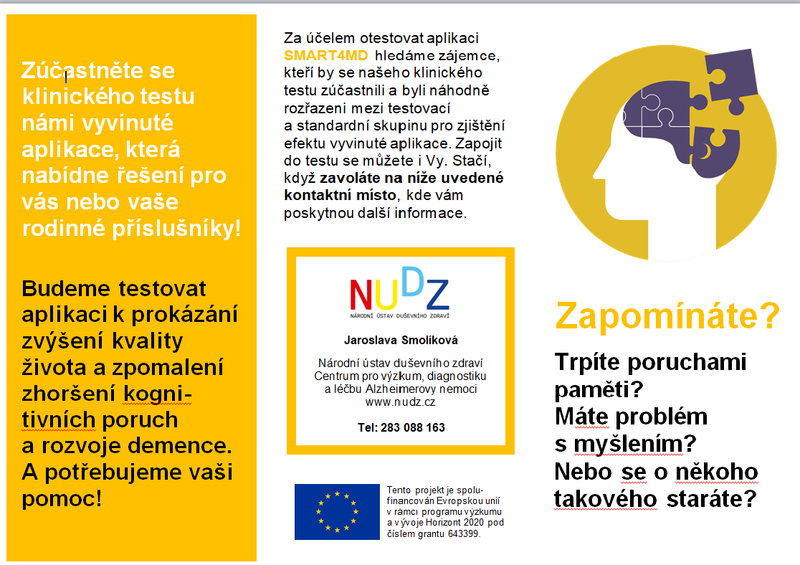 Specific promotion flyers were prepared for the event. 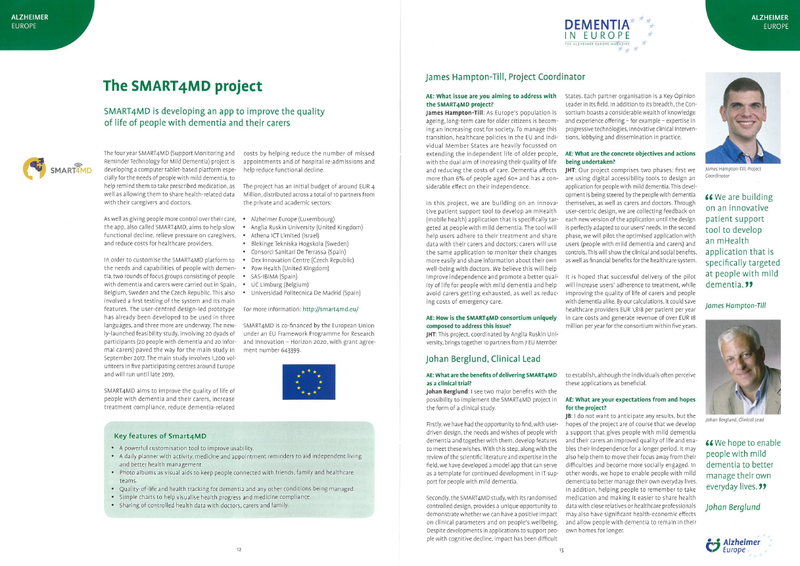 On international level, SMART4MD project article has been also published in Dementia in Europe Magazine, issue 25.